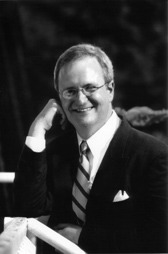 Robin Driscoll, Oboe, grew up in Charlotte, North Carolina and attended the North Carolina School of the Arts for High School. He then moved to Ohio where he studied oboe and mathematics at Oberlin College, Case Western Reserve University and the Cleveland Institute of Music. After receiving his Master’s Degree from the Cleveland Institute of Music, Mr. Driscoll played with the Cleveland Orchestra as acting assistant principal oboe and the Pittsburgh Symphony, both as guest principal and as acting second oboe. He toured with the Pittsburgh Symphony to Russian and Europe in 1990 and with the Cleveland Orchestra to Hong Kong and Japan that same year. Mr. Driscoll recently performed with the St. Louis Symphony and the Atlanta Symphony as acting second oboe. He also participated in the Cleveland Orchestra’s tour to Carnegie Hall that was taped for one of the Great Performers Series on PBS. He is currently principal oboe with the Pittsburgh Opera, the Pittsburgh Ballet and the Wheeling Symphony. He is currently teaching at the Baldwin-Wallace Conservatory of Music as well as The University of Pittsburgh. He has taught as a sabbatical replacement at Indiana University of Pennsylvania and as a Guest Professor with Indiana University in Bloomington, Indiana. Mr. Driscoll has just received a US Patent on a new machine for making oboe reeds and manufactures these machines at his own workshop in Washington, PA with the aid of new computerized milling technologies.